Planning a visit to the American Revolution Museum at Yorktown? 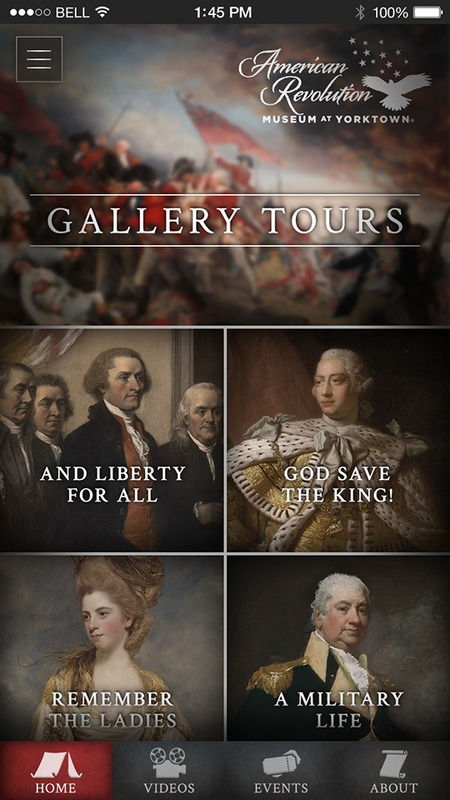 Be sure to check out our interactive gallery tours, available for android and iPhone. Choose from four themes: patriot, loyalist, women or a tour just for kids. Download from home or at the museum. Each tour features stops that encourage users to make personal connections with people of the American Revolution. Begin by learning about an artifact, object or exhibit and then explore each topic further through videos, dramatic readings, imagery and primary sources. Use the 3D gallery map to navigate through the tour. Kids tour participants engage in fun activities throughout the tour and become spies if they successfully complete their mission. Download the app on Google Play or the Apple App Store.